With the mini wing, discover new sensations! The mini wing is a new way of flying. Between paragliders and speedwings, those toys are the best way to discover the magic of flying! They are easy to use and understand : no inertia! Those tools are really multi-purpose : they can be use to learn to fly and do some top to bottom flights. They can also be use to speed fly down or ridge soar, to do some hike and fly. They are loads of fun and easy to handle! 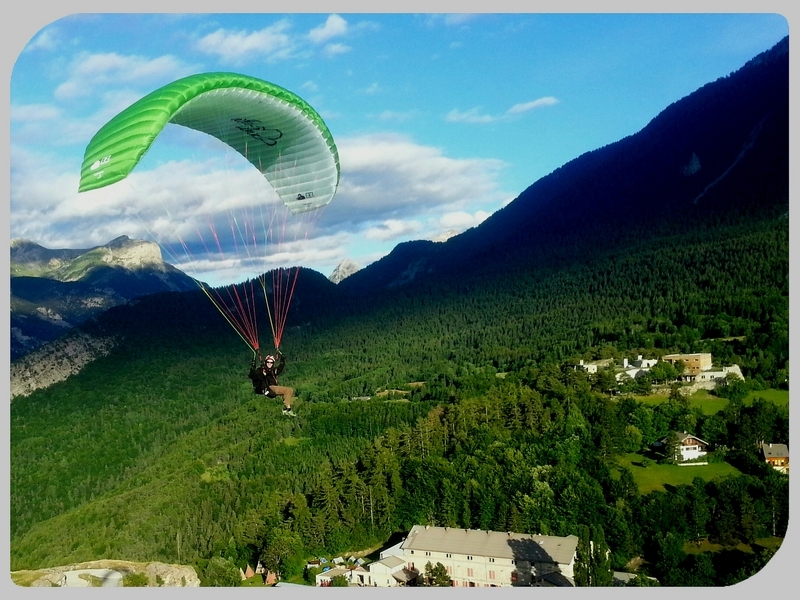 Since now 2003 , Mini wing School’s instructors have been teaching to fly, first paragliding , then speed riding during winter and since 2011 those small surface gliders called mini wing. Our mojo is to offer you the course that fits with your goals and availabilities! We want you to fly safe, improve and have fun! The courses take place in Diois Valley, Drôme, between Provence and the French Alps. Our valley offer many big flights options and is kind of protected from the main winds. It’s really easy to come here and you’ll find many accommodations options. More details here! We offer different kind of course from beginner to more advanced tuition. We also organise mini wing trips in France and around the world. More details here! We mostly work with Little cloud, Gin Gliders and Neo ( a new France made brand). Our opinion is that those brands are always at the cutting edge of development. To book a test or to know more about those equipments it’s here!